Who really owns risk? The literal answer is “not internal audit.” However, there is no question that internal audit has helped organizations better understand and manage risk in the past and will undoubtedly play a valuable role in the future. 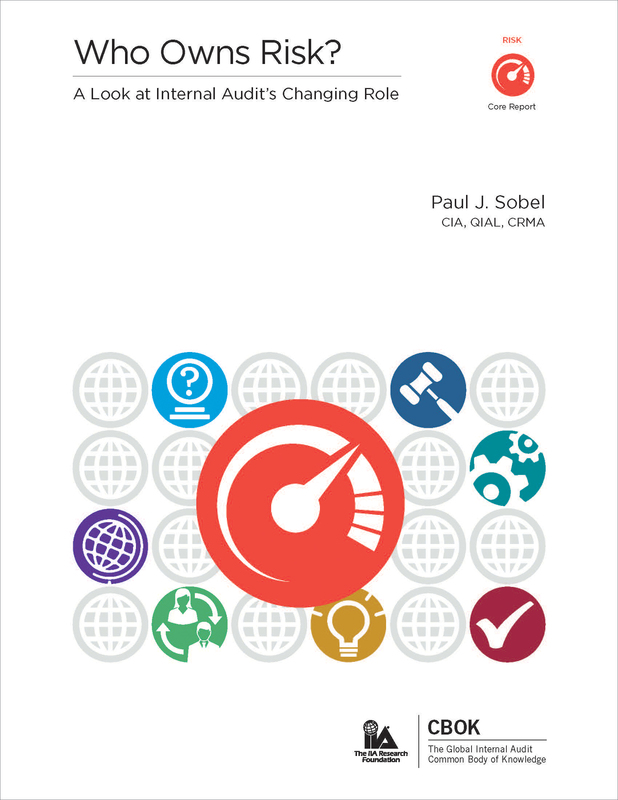 This report provides insights into the status of risk management and the role of internal audit around the world and lays out 13 key actions that can help chief audit executives (CAEs) and internal auditors ensure that their internal audit function is properly positioned to address risk challenges in an ever-changing world. Using survey findings from this report, you will be able to compare your risk-related practices to others around the world and in different industries. Data about risk practices was obtained from the 2015 Global Internal Audit Common Body of Knowledge (CBOK) Practitioner Survey, the largest ongoing survey of internal auditors in the world.